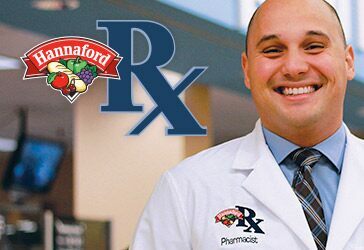 Your Hannaford Pharmacy is a convenient, affordable solution to maintain good health for your entire family, including your pets. Our friendly Pharmacists are ready to answer your questions with expertise and care. Most prescription insurance plans are accepted. Stop by your Hannaford Pharmacy for details. Just drop off your current pill bottle, and we'll do the rest. We offer very competitive prices on generic and name brand prescriptions. Download a list of our featured generic drug list, and stop by or call the pharmacy for a quote on your prescription. FREE reward chart to encourage children to take medication as prescribed. Prizes for completed charts. FREE FLAVORx® to make medicine taste better.